Janesville, WI – The Rinehart R100 is pleased to announce a new stop for the event in 2016. For the first time the R100 will be held in Georgia on March 5th and 6th at the Banks County Recreation Area near the town of Homer. Like all R100 events, Georgia will offer two 50 target courses. The North American Range features a robust lineup of 3D animals that big game hunters chase each and every fall throughout the U.S and Canada. The African Range provides archers the chance to find the 12 ring on animals such as life-size giraffe’s, elephants, tigers and much more. Shooters of all levels and ages can experience the best and most unique 3D targets in the world within a fun and exciting setting at the Rinehart R100. Pre-registration for the Homer, Georgia event is available through Wednesday, March 2nd at 8:00pm EST. You may also register in person on the Saturday or Sunday of the event. Since 2003 the Rinehart R100 has been providing archery lovers with an event designed for participants of all levels and ages. The event is focused on family fun and introducing new shooters to the great sport of archery. 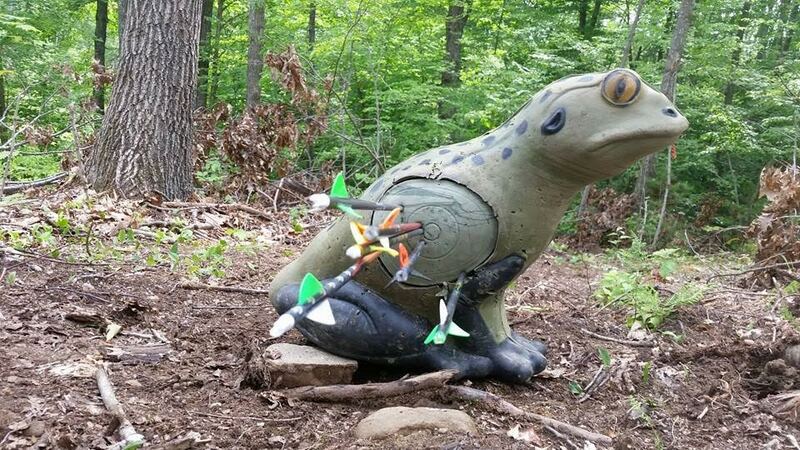 The combination of fantastic venues and an opportunity to spend a day finding the ten ring of “The Best Archery Targets in the World” makes this event a must for all outdoor enthusiasts, young and old.